Dr. Felesia Stukes differentiates herself from traditional computer scientists by putting storytelling at the center of her work. “That’s what makes data science so unique,” she says. “You can’t just throw numbers at your target audience. That’s statistics. You have to be able to tell a story with the data.” And she believes— correctly — that students across different majors at JCSU stand to benefit from having a data science skill set. 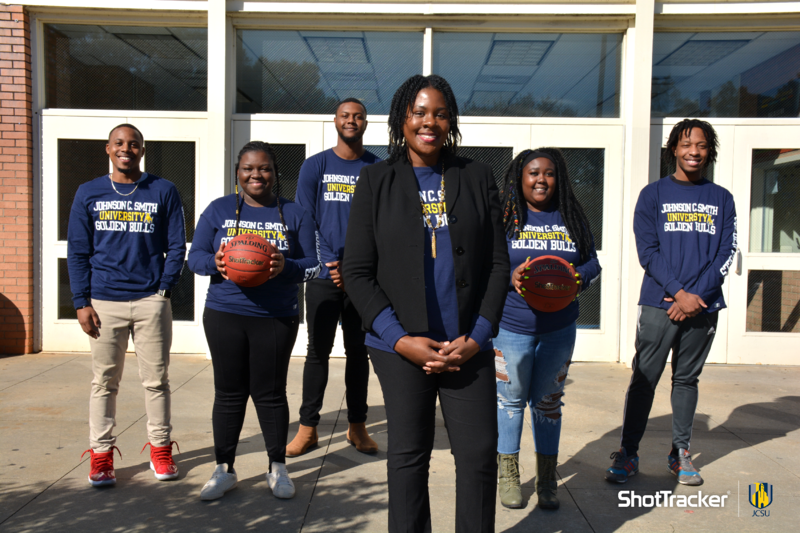 When Dr. Stukes attended the National Society of Blacks in Computing Conference in the summer of 2017, she discovered the perfect tech tool for making data science accessible to one and all: ShotTracker, a sensor-based system beloved by D1 college basketball programs that instantly delivers 70+ real-time stats and analytics to an easy-to-use-app. Featuring shot charts and zone maps, ShotTracker makes it easy to tell stories about data that enhance team performance and drive competition. Dr. Stukes immediately recognized ShotTracker’s educational potential, envisioning it as the cornerstone of a new data science minor at JCSU. Now, supported by a prestigious grant from the National Science Foundation, Dr. Stukes, along with seven hand-picked JCSU students, a.k.a. The DATA Bulls, are turning her pioneering vision into reality with a ShotTracker-powered pilot program designed to take computer science out of the classroom and into the real world. “Math and science can cause anxiety and lead to avoidance for some students,” Dr. Stukes says. “A lot of the time, you’re in a computer lab environment in front of PCs, which makes things more intense.” ShotTracker’s on-the-go app changes that equation. The DATA Bulls started charging ahead the moment the sensors got installed in the rafters of JCSU’s basketball gym in September. “We consider it a partnership, because the teams will use ShotTracker during practice and we use the data to analyze their performance. The idea is to engage students traditionally not interested in data science or, on the flip side, athletics,” she said. 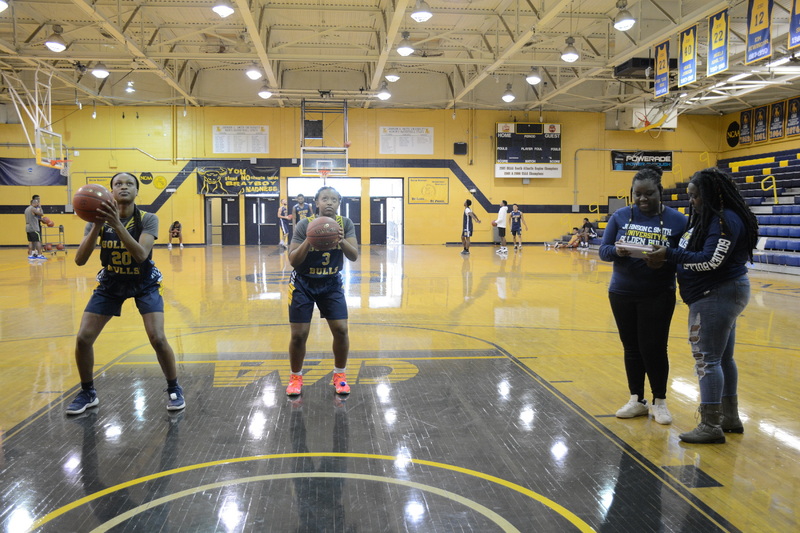 To re-enforce her program’s real-world aspirations, Dr. Stukes encourages the students to think of JCSU’s athletic department as the “client.” Beyond being responsible for ensuring that the system is working properly and that all the sensor-enabled balls are fully charged, the DATA Bulls will interact directly with players and coaches on JCSU’s men’s and women’s basketball teams, using ShotTracker-powered stats and analytics to improve their on-court performance. Though she does not consider herself an athlete, Dr. Stukes is both the wife and the daughter of former college basketball players. Her now deceased father, she says, “would’ve been blown away by ShotTracker. He never would’ve left the gym.” Of the few remaining old-schoolers who dismiss analytics as a passing fad, Dr. Stukes says, “Those people sound like they’re coaching from their couch. 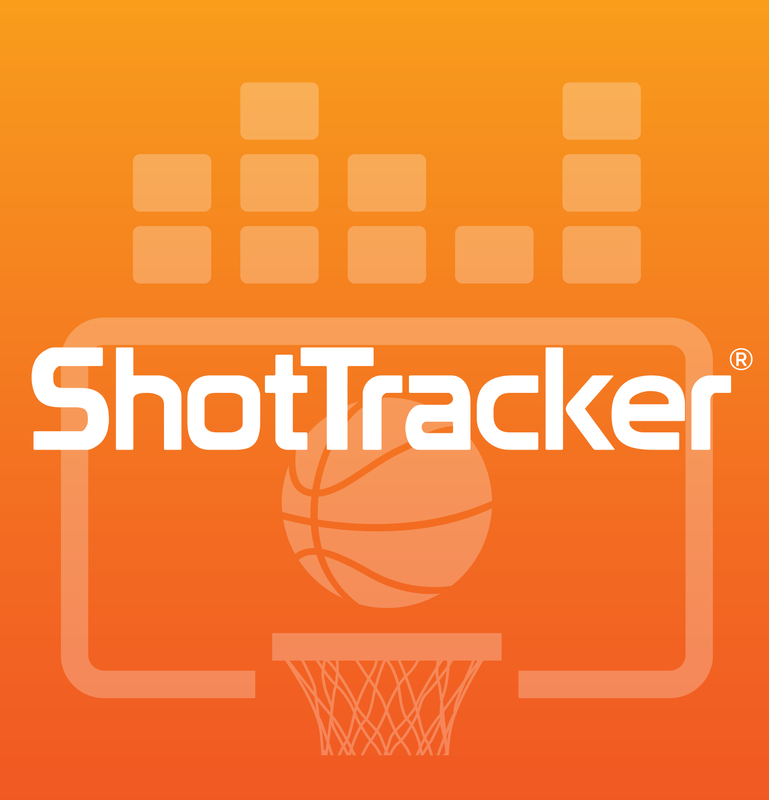 For coaches who are actually interested in winning, ShotTracker is empowering. You’re still using your eye, still using your mind. But you can use this tool to add to your expertise.” Like father, like daughter.